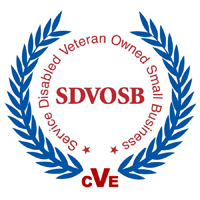 Locke-Lane Construction Inc. is a certified Service Disabled Veteran Owned Small Business (SDVOSB) founded on the ideals of integrity, honesty, and quality craftsmanship. Graduating from the United States Military Academy at West Point, the Owner of Locke-Lane Construction Inc. chose to bring many of these same ideals and apply them to general contracting. Locke-Lane Construction works predominantly in the Carolinas in the areas of Site Grading, Concrete Forming and Flatwork, and Water and Sewer Improvements. Locke-Lane Construction has the knowledge and capability to handle all of your construction needs with more than 20 years of combined engineering and construction experience. You can always get in contact with us via email or phone.